She was spotted wearing Adidas on the court as recently as March 22, but it’s official: women’s tennis Grand Slam tournament winner Naomi Osaka will be Nike’s next sports star. The tennis champion and athletic giant announced an endorsement deal late Thursday. The move came as a surprise to many sports and business insiders, as it was assumed Osaka would be extending her deal with Adidas, which expired at the end of 2018—an extension Forbes reports was never signed. Additionally, Forbes reports Japanese fast-fashion company Uniqlo made an offer, which Osaka declined. 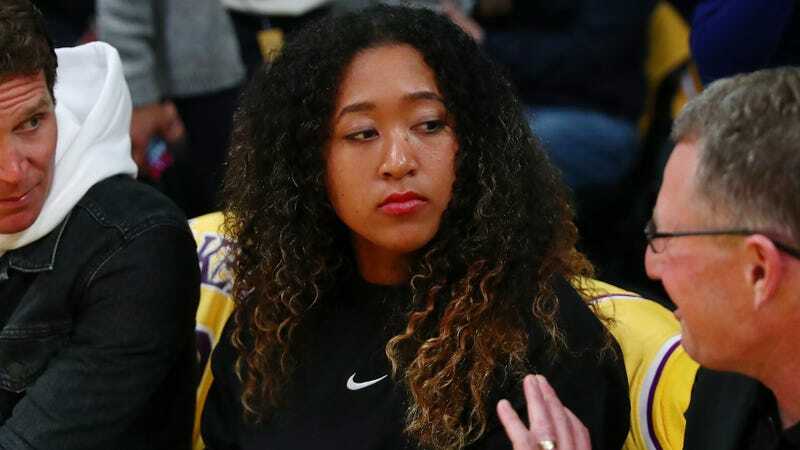 But in an upset worthy of the final moments of the US Open, while Osaka had recently been seen sporting Adidas gear on the court, last night, she was spotted at the Warriors-Lakers game at the Staples Center in Los Angeles, Ca., a swoosh proudly displayed on her chest. The game was apparently part of Nike’s welcome package. Before the night was over, Osaka was spotted chopping it up with fellow Nike ambassadors LeBron James and Kevin Durant. While it appears Japanese citizen Osaka may primarily be repping Nike Tokyo to start, in addition to James and Durant, this, of course, also means the two-time Grand Slam tournament winner is joining her idol and competitor Serena Williams at Nike, as well as activist-athlete Colin Kaepernick. Whether or not we’ll ever get to see Osaka and Williams together in one of Nike’s iconic commercials remains to be seen, but the brand wasted no time giving its newest star the Nike treatment—in two languages. Osaka is expected to wear Nike’s Zoom Zero on the court when she competes in the 2019 Porsche Tennis Grand Prix in Stuttgart, Germany on April 22. And of course, we expect her own gear to soon follow suit. But while huge, the Nike deal is just the latest jewel in the 21-year-old’s growing endorsement crown; since her US Open victory last September, she has signed with Japanese cosmetics company Shiseido, All Nippon Airways, and personal care juggernaut Proctor & Gamble. As for Adidas, missing out on Osaka’s rising star power may be a big loss, but we have a feeling the brand will be okay. After all, they just scored Beyoncé.